A Bachelorette Party is something that should be one most memorable experiences for the bride-to-be. We know how important it is for every aspect to be absolutely perfect. 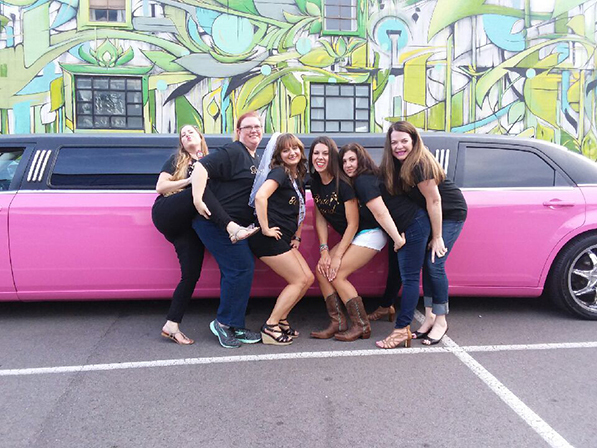 Let Allstars be your limousine service for your special night out, as we know exactly what constitutes the memorable Bachelorette Party. Our services genuinely consider everything needed for an amazing night; from our luxurious vehicles to our highly professional staff. "Allstars Limousine is the only Limousine company from Nashville, Tennessee featured on Wedding Wire.com, Brides.com Martha Stewart Weddings. Allstars has a 5 Star rating and has worked very hard to achieve this score!" 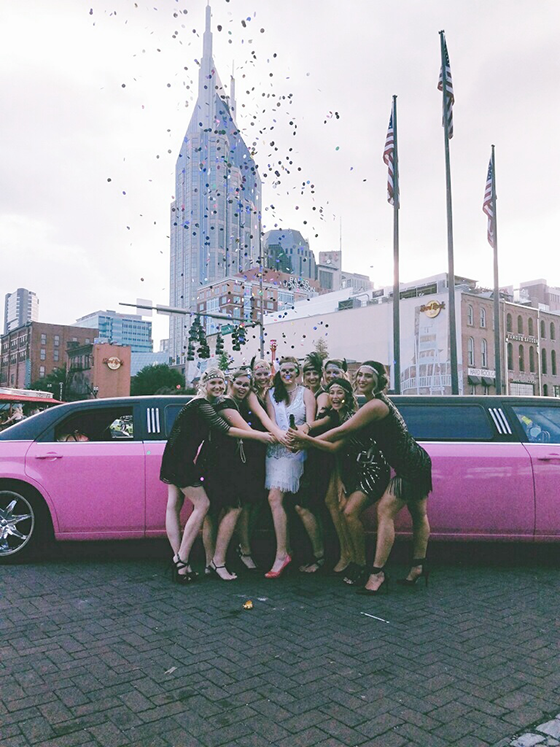 Choosing Allstars will simply make any Nashville Bachelorette Party that much more enjoyable. In short, we know how to get you and your girls there in style. Of course, there will be special emphasis on the prospective bride, making sure her night is just as substantial as the wedding day itself. There are quite a few options available in limousine service, but none that are more thorough and comprehensive as Allstars Limousine Service. With our all-encompassing service, all you have to do is sit back and enjoy your night out -- wherever that may take you. Traverse the city in the way that it should be seen, in a high class limousine, giving your girl the proper send-off that she deserves! Finally! A Limo Service that takes care of the bachelorette party photos for you. Thats right, Let Allstars take the photos for you. We want to create the best experience for you and your party. With Nashville having so many great spots for a photoshoot our drivers have picked out the best locations all around town.